As soon as the weather starts cooling of at the end of summer, people start turning to heartier and more comfort inspired recipes. Squash, pumpkin, corn, turnip, cabbage, cauliflower, and beets are just a few of the vegetables now in season. It’s the best time to make this shredded beet salad for lunch (especially after the first frost sweetens up the beets), and it’s almost time to make homemade sauerkraut to store over winter. The quintessential fall vegetable, especially here in North America is of course pumpkin. So I thought what better way to start the day then with some easy to make pumpkin breakfast muffins! Most of us have had banana bread or muffins for breakfast, and some choose them as an easy alternative to eating a fresh banana. To often though these baked goods contain a lot of sugar and not much nutritional benefit. 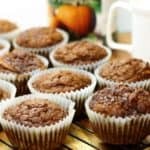 To many of us eat protein and carb loaded breakfasts anyway, and as such introducing more fruits and vegetables such as with these pumpkin muffins to the first meal of the day is a welcome change. While there is never a substitute for eating fresh fruit or vegetables, changing up what you eat is never a bad thing! Loaded with Potassium, Vitamin C, and of course Natural Fiber, pumpkin serves to promote heart health, and is another good source of minerals to add to your diet. Baking breakfast muffins like these is just one way that you can incorporate pumpkin into your breakfast. You could make pumpkin pancakes, a pumpkin smoothie, or even Greek yogurt pumpkin parfaits! With an electric stand mixer (affiliate link), this breakfast muffin recipe takes about 10 minutes to make, and 15 minutes to bake. Not bad for a weeks worth of baked breakfast goods! Even without an electric mixer you can quickly make these pumpkin muffins. You’ll just need to use a little extra elbow grease and mix the batter by hand! Before you start, ensure you have all your ingredients ready. 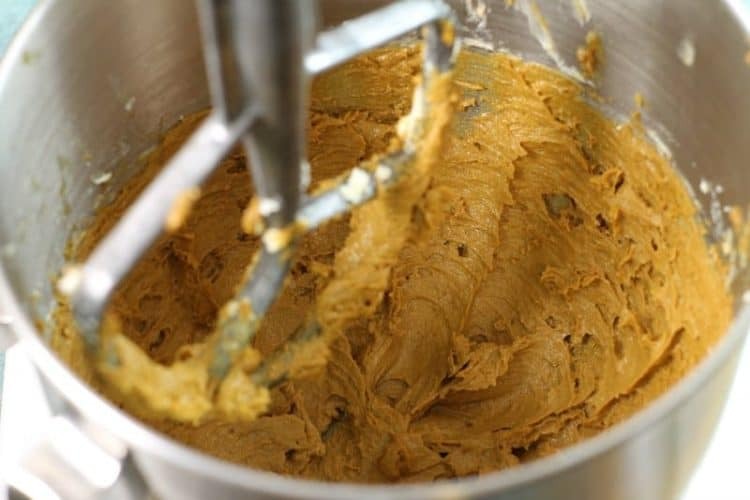 The butter should be room temperature to allow for even mixing and to avoid little lumps in your batter. Having everything ready to go will ensure the recipe is quickly assembled. 1 1/4 cup pumpkin puree either store bought or homemade..just not pie filling! Line a 12 piece muffin tin with muffin liners (affiliate link) or grease it really well with butter. Pre-heat your oven to 375F. Start by creaming the butter with a blade attachment or by hand with a wooden spoon. Creaming the butter allows the sugar to be evenly incorporated, and ensures there are no lumps of fat in the batter which would simply melt, and leak out of the muffins as they bake. This is best done with room temperature butter, though cold butter can be creamed…it will just take longer! Once the butter is light and creamy, add the molasses to the mixer. Beat the creamed butter and sugar until the two are well mixed.The mixture will turn a dark brown as the molasses colors the butter. Scrape down the sides of the bowl with a spatula to make sure all the butter was mixed with the sugar and there isn’t a thin layer of just butter coating the bowl. Add the egg, and beat it in until it is completely mixed. Next add the pumpkin puree and slowly stir it in until the pumpkin muffin batter starts to look smooth.. You can use store bought puree but not pumpkin pie filling! The filling will usually have sugar and other additives included. You could even make your own pumpkin puree from homegrown pumpkins or ones bought at the market. In a separate bowl mix together the flour, salt, baking soda, and spices. Slowly add this dry flour mixture to the wet muffin batter. 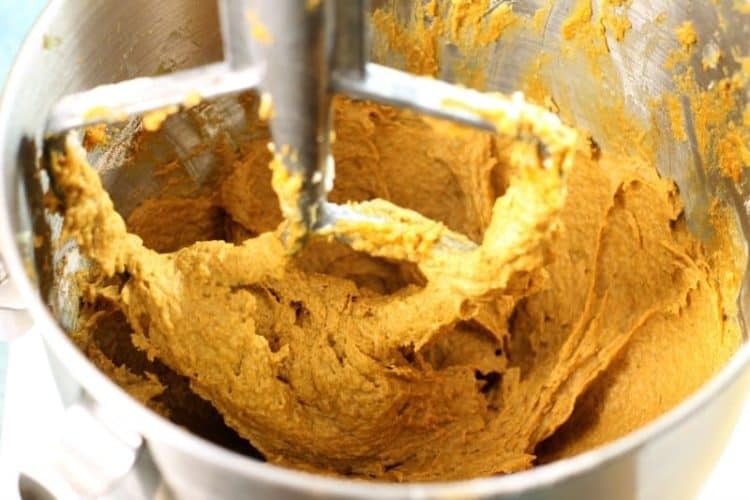 The pumpkin batter will thicken up a little and become smoother, but should not be stiff! It will flow as though it was lava! Use a portion scoop, (icecream scoops like this one are ideal)(affiliate link), or a spoon a divide the muffin batter into a pre lined muffin form. Fill the muffin liners three quarters full. In my Bakery Style Cranberry Muffin Recipe I talk about the benefits of not using muffin liners, in this instance though, the muffin liners will protect the moist pumpkin muffins if they are kept in the fridge throughout the week. Bake the pumpkin breakfast muffins for 15 to 17 minutes at 375F until the tops are firm and spring back. You can also test the muffins with a wooden toothpick. When the toothpick comes out clean, ( no batter sticking to it), the muffins are done. If you loved these easy pumpkin muffins, make sure to try some more of my muffin recipes! Great for a breakfast on the go, a quick snack, or a hike! A deliciously moist, pumpkin breakfast muffin. A great way to start your fall day, and an easy way to sneak vegetables into your kids breakfast! 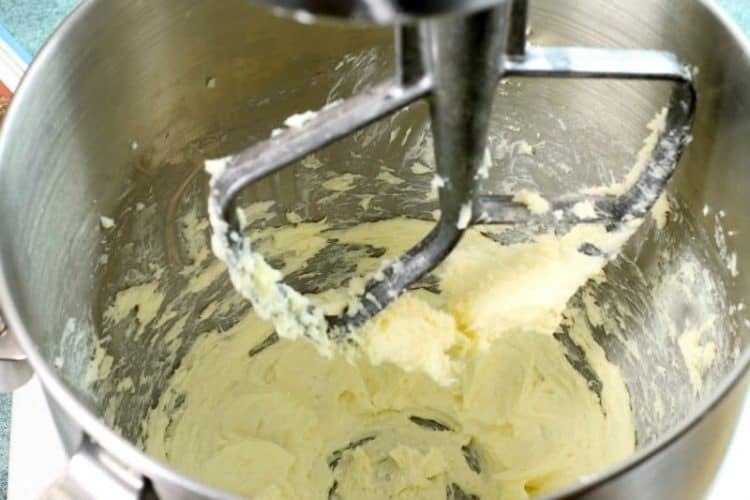 Cream the butter in a stand mixer with a paddle attachment until light and fluffy. Add the sugar and beat until fully incorporated. Add in the egg and mix well. 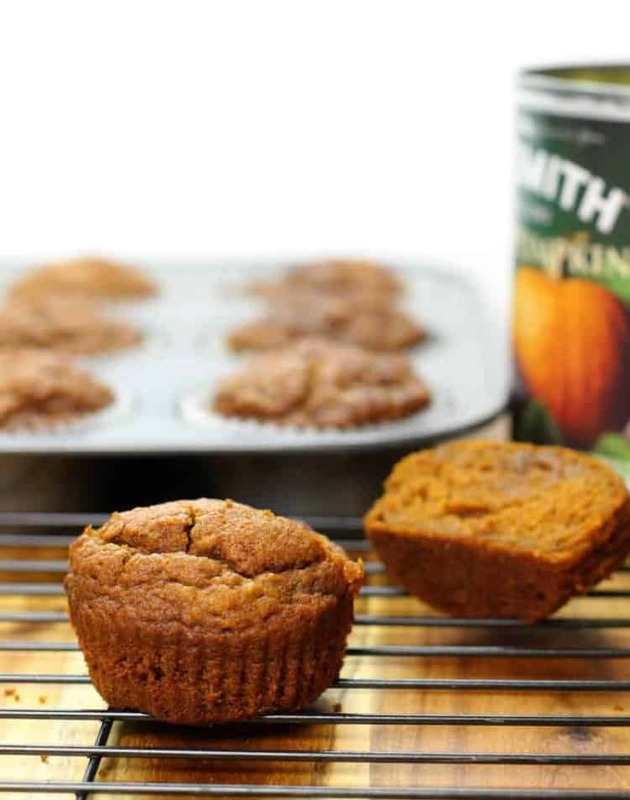 Mix in the pumpkin puree until the muffin batter is one smooth texture. In a seperate bowl, mix together all the dry ingredients. Slowly add these to the wet ingredients and beat until just mixed. Do not over mix or the muffins will become tough. Scopp the pumpkin muffin batter into the muffin tin, and then bake at 375F for 12 to 15 minutes. 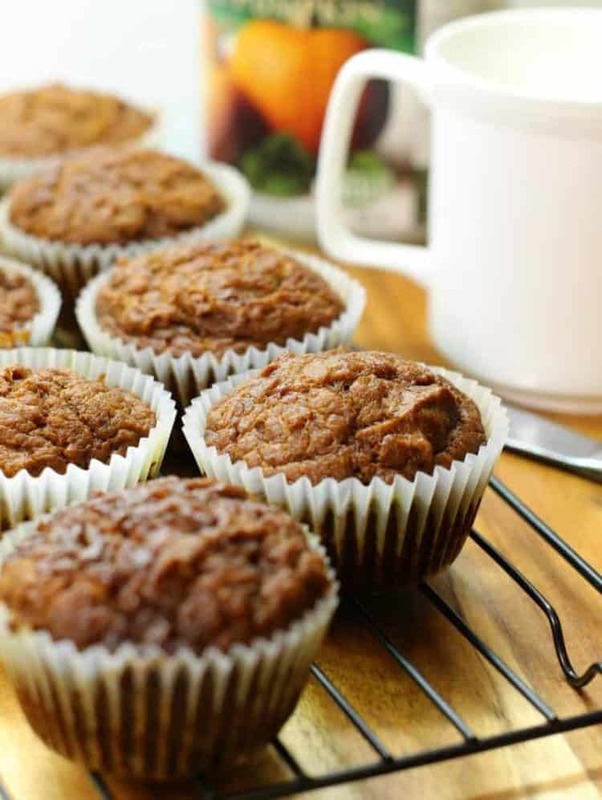 Remove the pumpkin breakfast muffins from the oven and let cool to the touch. Remove the muffins from the tin and let them cool fully on a wire rack. Refrigerate the muffin in an air tight container for up to 5 days. For large bakery style muffins, don't use muffin liners and instead grease the muffin pan with butter. Double up the recipe and fill the muffin tin right to the top for an extra large breakfast muffin! Yes to all the pumpkin muffins! I love these are especially for breakfast! They are so tasty! Plus they freezer/thaw very well! Now these sound like my kind of breakfast muffins and perfect for this time of year. Delicious. Love the idea of starting my kids day with hidden veggies. Excited to make these for my family! Your kids will love them! My daughter inhales these, and I can barely make them fast enough! ? These would be great to take to work for a mid-morning snack with coffee or tea. They are perfect for snacks like that! They are great if you are doing a fall camping trip as well! These are some beautiful looking muffins and love fall time for all the pumpkiny, squashy, and cinnamon-ey sorts of flavors. There is something about a warm spiced pumpkin baked good that feels just like a big hug and your recipe for Pumpkin Breakfast muffins sounds perfect for my Saturday morning baking session. Thank you for sharing – they look delicious, healthy and heartwarming. Thanks Denise! I’d love to see/hear how they turn out if you make them! Tag me on Instagram or Facebook / @earthfoodandfire ! Serves 1 muffin? I’m assuming that’s a typo and should read 12 muffins, right? Haha You’re right! It is supposed to be 12.I changed the number. Although you could make one GIANT muffin! I love eating muffins and cookies for breakfast. These look are totally calling my name.